It may seem like there are certain elements of your landscape that simply can’t be lit properly. But the experts are holding all the secrets! 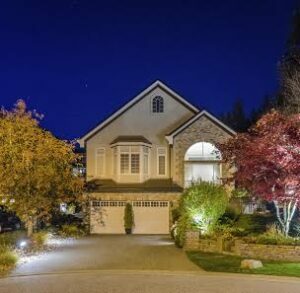 When you start getting involved with outdoor lighting, you may also start to realize that it’s not as easy as it looks. It can be extremely difficult to make your backyard look like those landscapes in the magazines. It may seem like there are certain elements of your landscape that simply can’t be lit properly. But the experts are holding all the secrets! Read on to find out how to light your landscape like a professional. On footpaths, you’re going to need a very specific kind of lighting. The bulbs themselves should be hidden and producing an ambient light that covers the walking area. To get the most out of your pathway lighting, make sure you’re spacing them out and avoiding straight lines. You want an overall glow, not an airport runway. If you’ve got one particularly large feature, like a huge tree or a waterfall, put a spotlight on it. At night, this beautiful aspect of your landscape won’t fade into the background. It’ll stand out against the rest, so that its importance is state properly. Flower beds should have a long string of LED lights where the grass begins. If they’re tucked under properly, it’ll create a beautiful glow that covers your entire flower bed. You should be able to pin these lights in place with landscape staples so they don’t move around too much. For dining and eating areas, you can light up the outdoors with a cluster of candles. It can add a beautiful romantic ambiance. Your lighting will be greatly complimented by this little touch of softness. Want to talk about outdoor lighting with us? Atlantic Maintenance Group is waiting! Atlantic Maintenance Group is ready to help you with our variety of landscaping, asphalt, snow removal, and concrete maintenance services. We are experts in our field and we are prepared to meet your needs with a price and product that will leave you grinning. If you’re interested in getting a free quote or more information, visit us online or give us a call at (410) 768-4720. To see examples of our work and stay up to date on our specials, follow us on Facebook, Twitter, Pinterest, and Google+. This entry was posted on Friday, September 2nd, 2016	at 11:58 am	and is filed under Blog, Exterior Lighting, Landscaping Design	. You can follow any responses to this entry through the RSS 2.0	feed. Both comments and pings are currently closed.